End of December: Once again, I don’t feel I can spend too long bringing my Diary up to date – I shall be selective of the most important things. I need more time – for my fashion design. And to clear the way for an eventual block of time to see if I can manage to put together the idea I have for a play. I mentioned already that I think you could update Faust. Mephistopheles would be the Press and the aim would be to show how easy it is in the “democratic” system we have today for the mainstream media to lie to the public by giving out bits of information so as to hide the complete picture. I have thought of a wonderful way of how to do the play and I have done some reading and research. We activists urgently need to stop Climate Change and we won’t get through to the general public unless we undermine the credibility of the lying mainstream media. Only 1 billion people by the end of this century, that is the truth as things stand. Just before Christmas we were in Prato working with our producers in Studio Cataldi. We went with Rosita into the old town (a little Sunday morning holiday). Into an antique shop where every single thing was desirable – something you would really want to have. Wandered through the Christmas market. Climbed the steps up into inside the castle and overlooked a large grassed courtyard where horses and riders were practising manage for an event in the afternoon – the boy sitting upright, the arched neck of the horse as he stepped to the rhythm; they were one thing as they circled, a unit. Then into the cathedral to look at the Lippi murals. I had been allowed to see them before, but only partially, standing on scaffolding whilst they were being restored. These amazing works; you wouldn’t find them unless you knew they were there. We climbed a few steps then along behind the balustrade into the chancel and a lady happened to be there and switched on a light. We can share this experience – others feel the same; it brings culture. Consumption by contrast gives only a buzz. On one side is the life of St. Stephen. We see him in three stages of his life – he was stoned to death – amongst crowds. 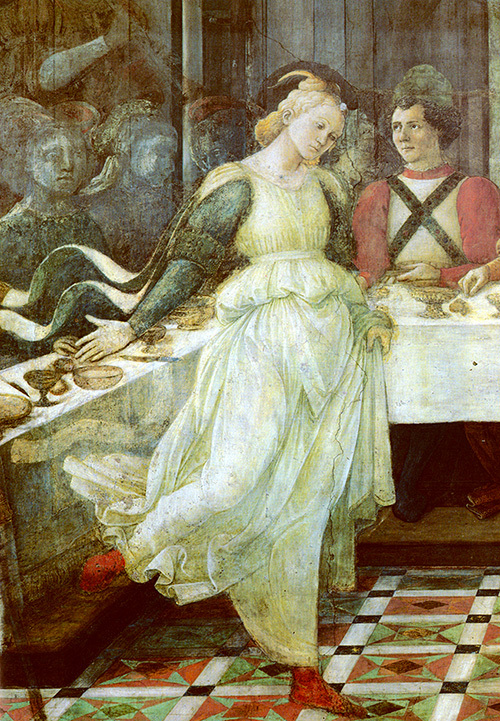 On the other side is Salome, dancing at the banquet where she asks for the head of John the Baptist, and she is in the same picture again, down on one knee, looking out at us whilst presenting John’s head to her mother on a big plate. We are present at the whole thing and it is held together by every person’s relation to each other and what is happening. After work Andreas ran back and bought a mirror and some glasses from that shop and two crochet blankets (70s) from the Christmas market. – He is mending a family wooden farmhouse in Tyrol so that people can live there – beautiful, 500 years old. The human beings are frightening to the viewer – because of the similarity to himself. They seem to speak and breath! Joe, Tomoka and I were standing on the shingled slope of a narrow bay watching the waves of the incoming tide which was now reaching the extent of its flow. It was cold and wild at the end of a grey afternoon. They bay enclosed our vision of the waves as they smashed upon the rocks at the cliff side, our horizon was this wall of waves at eye-level – because we were on a slope. Body and soul controlled by the forever coming waves; fulfilled as our breath comes in with the sea. 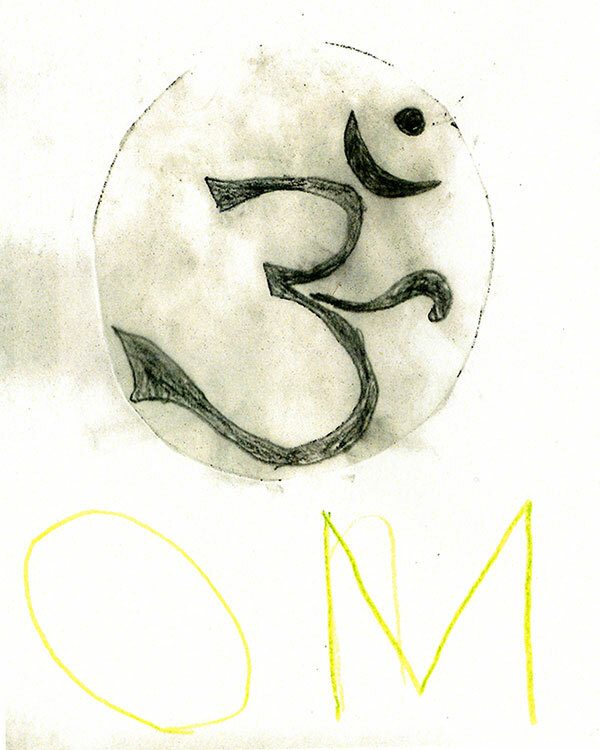 We are at one with the world, gladdened and renewed. But it is not quite the same experience as the experience in front of Filippo Lippi because we do stay, we don’t leave the world. That is my experience. Ben has campaigned for Shaker Aamer. He was just released from Guantanamo after all those years – just picked up with no evidence because he happened to be in Afghanistan doing charity work. Ben collected signatures from all our work people – on a very big Christmas card (even though Shaker is Muslim) saying, “Welcome Home”. January: Thursday, 7 – Monday, 11 Jan. To Los Angeles. We agreed to do the concept for a charity event Art of Elysium for critically ill children. Our theme was “Heaven and Hell”. The floral decorations were really something, the florist had spent three days foraging for wild plants and branches to make a Paradise. And our friend Stewart’s band Wild Daughter really rocks and is to dance to – not just boringly bob about like most stuff. Met some nice people and I talked about Leonard. I hope some of them will support his request for presidential clemency. – Won’t know until Christmas. Be Brave/Stay Strong, Leonard! Also went to dinner with James Costa and guests at his vegan restaurant Crossroads in support of Sea Shepherd. Paul spoke to everyone live by video link and Pamela his close friend for many years was there to welcome us all. Thu 14 Jan: To Milan, Man show on Sunday. Fantastic casting. Lots of models letting their hair grow. Our unisex look is really Punkature (Punk Couture / puncture). The stop Climate Change theme was Be Specific. Jane da Mosto came regarding Be Specific – Save Venice and we put Italian P.R. Emanuela Barbieri in touch with her. Jane will write out a plan of campaign. I went through the Red Label (women’s) collection which had also just been delivered to the showroom. It is the first time we have seen everything made up in the right fabric. We much check as to what works. I also started to put outfits together ready for the selling. Tue 19 Jan: Back home in the morning Ben phoned me to tell me Bamboo had arrived. Evening, we went to see Tomoka and her baby just down the road in Chelsea and Westminster hospital. I love him. We ate Sushi in a nearby restaurant, then rode home. Sun 24 Jan: To Paris. Andreas had just caught a cold and he had quite a fever. So we waited and in the afternoon he felt better and we just turned up at the Eurostar though our tickets were now no good. What a lovely woman the supervisor was. She knew we were telling the truth and she checked with someone and took us through. She seemed to have a cold, too. Bless her! Next day, we met the architect for the interior of the French shop, Simona and her assistant Caterina. I have been following this but Andreas has been much more hands-on working with the architect. I am so glad I went. You have to have someone to work with or decisions just don’t get made. We worked all day and for me a particular decision happened. – The walls were painted grey and Andreas pointed out that whereas some of the walls were walls others were plasterboard just so as to box in the wiring and infrastructure. These he hated. I am not sensitive enough to my surroundings to have noticed this, but then I understood and completely agreed. Andreas said it would help if the cold grey would be a warmer tone and he indicated the colour of a piece of plasterboard. “What do you think?” “I would like if it they could actually be plasterboard” I said. The next day Simona told Andreas that’s what they would do – real plasterboard with ordinary builders screws showing. I am excited. Still spending lots of time to streamline the structure of our company and edit our products. Andreas said when he was last in Italy he went with Rosita to this special doctor she has. The doctor told Andreas, you have a completely mathematical mind, were you good at maths at school? Absolutely not! This is what he means: I collect everything. I have to have everything there, I set it all out. You see how I behaved to get these tee shirts. Six graphics pulled out from all this rubbish – I like them. Plus colours and fabrics. First I have to decide the forms. I decided three shapes (1x normal classic, 1x long-sleeved with gussets, 1x oversized with long sleeves puffed up at the sleeve-head). Then when I have decided which graphics match the shapes, I edit, reduce, change it around. There are endless possibilities and when the possibilities really are endless I go mad. I know about endlessness; if you want to know endlessness listen to Mahler (we did the night before). Then at the end I took the paper bag which had the print of ladybirds on it. I love ladybirds. I needed it for the sleeves of one tee shirt. Then I added another tee shirt – the classic one all made in this same jersey with the ladybirds print and that gave me the chance to use my OM graphic on top. I don’t care how it’s printed – it can be a mess. And then I will stick on the bee patch. I love the yellow bee with its blue wings against the red ladybirds. I am happy. 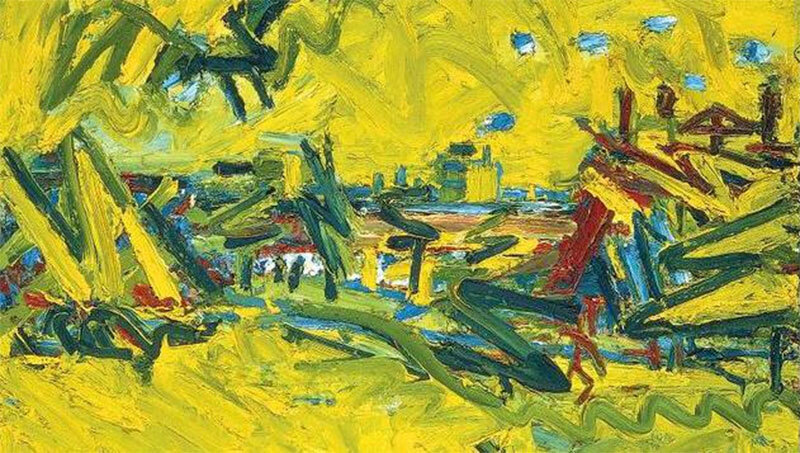 Perhaps Frank Auerbach painted layer on layer because he saw fresh every time. The paint is thick! Auerbach himself says that in dealing with “the problem” (we don’t know what the problem is) he sometimes stopped finally out of frustration. I went again. I was tired. I could only see so much. The works are beautiful. This time I “got” one of the landscapes which puzzled me on the first visit. – Title: The Creation of the Great Bear. You see the constellation thrown up over the hill into the sky, the stars are bluish. The whole surface is acid yellow – sky and earth, except for a patch of night sky torn through the clouds which looks like a dark blue giant bird. I suddenly felt I was seeing the whole of creation, back beyond civilization, back beyond the Greeks yet including that and forward to the end of our time on earth: the world seen through human eyes. I said this to Cynthia. She was enthusiastic; she had bought a reproduction (not thick like the original). She said that was exactly what happened to her. This does not mean anything. We don’t believe our experience is mysteriously embedded in the painting. We don’t know what Auerbach saw, but we believe it is something primary. Regarding Climate Revolution there seem to be some extremely exciting things brewing. But I won’t say anything until they happen. Mon 2 Feb: Catherina, the daughter of my American friend Frank came for work experience. I gave her a special task. 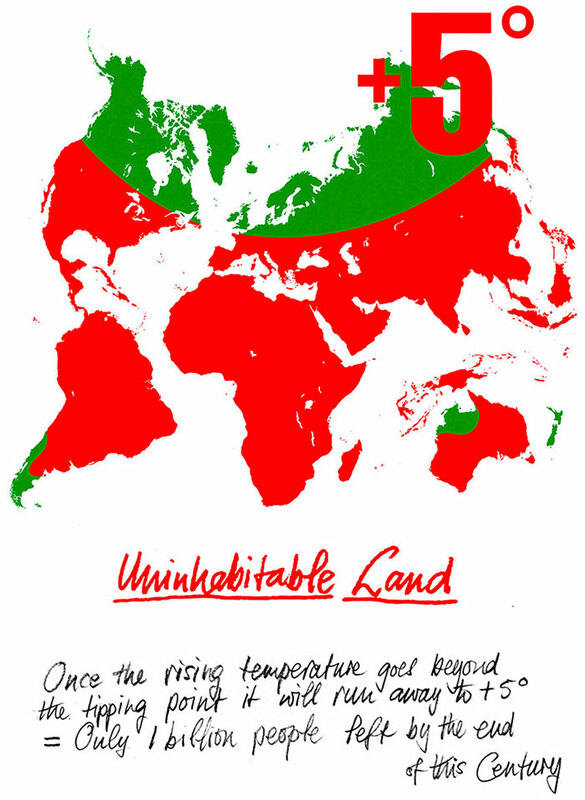 We are fusing our websites, Climate Revolution with the main Vivienne Westwood site. This will happen in July. Meanwhile we double up on what we post. I believe our website is the motor for everything I want to promote. We promote quality. I asked Catherina to analyse the structure of the marketing and digital marketing team right up through to the people who sell. Obviously my main reason for asking this is because I want to know. (Though I direct the sites, I don’t use a computer I write by hand and tell people what I want). But also because otherwise I will never get round to doing this. These people work for me and most of them I haven’t met until now – that’s what I want to do – link personally. I read some of her report, short concise and really so well done. With Catherina we have begun to talk to the people concerned. I really want to be sure the message is my message. My aim is to have a perfect company, a model for the new Green Economy. Efficient in every respect, efficient in happiness and job satisfaction. Our people are skilled and their work is labour intensive. To our customers we say, “Buy less, choose well, make it last.” I believe this is a company of the future. Thu 4 Feb: I went for my monthly visit to Julian. There were lots of photographers outside the embassy because Julian was waiting for the decision of the UN who next day ruled that he was illegally detained. I was really glad to be photographed on this important day because I support Julian and I feel privileged that people know that. I don’t want to say anything until I have been back to talk to Julian, other than that the government and press response thrives on libellous lies. They don’t care because at the moment they are getting away with it. And though one refutes the lies, once the lies are out, for the moment they stick. Sat 6 Feb: To speak at the rally for the junior doctors. (Speech). Vanessa Redgrave spoke and also my son Ben spoke as a member of the public who is grateful for the National Health and for the stand the junior doctors are taking to protect it from government sabotage and sell off. Lauren is one of the organizers. She started to tell me some of the stuff that’s going on. How can somebody have so much information and remember all that detail? I said, does she work? Yes. She works as a Specialist Registrar in an Adult Psychiatry in London. I’m astonished by how clever she is. Cindy has asked her to talk to some of the groups of intellectuals she is helping to form. The point there is to equip intellectuals with full knowledge of the facts as against the false official propaganda. Thu 10 Feb: For some months I have seen only one or two loyal birds in my little back garden. There used to be so many. Either they weren’t there or I missed them. Today the mimosa tree is full of goldfinches and the tomtit and the lady blackbird have got partners. The best time to catch them is 8.30. 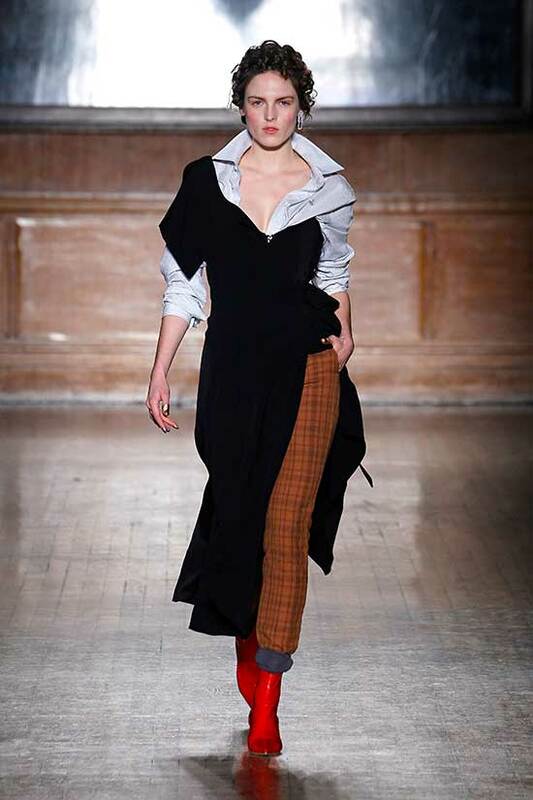 Wed 17 Feb: Our fashion show which is now called Vivienne Westwood (not Red Label) is on Sunday. Its title is Intellectuals Unite and I have written a poem about that which I did to camera. I also used it for the press release. Tomorrow, Friday I will work on the show, choosing outfits, fitting models, fixing the running order. Andreas will help. Yasmine is here, staying in my home, already casting. Tomorrow we try out the hair and make up. 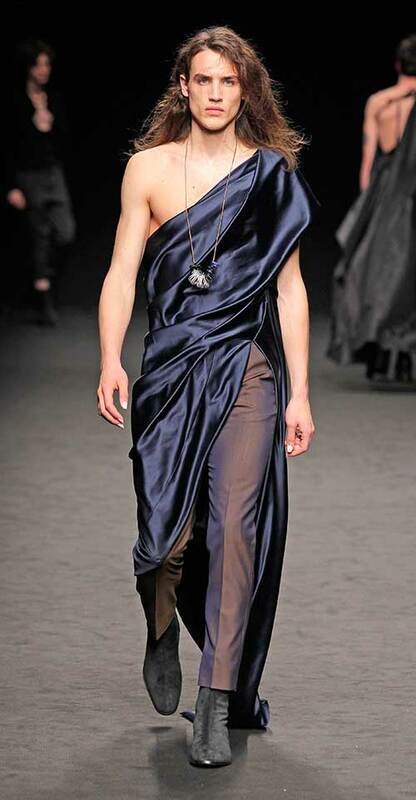 Sun 21 Feb: Vivienne Westwood London Show. I had looked at the collection when I was in Italy, and I knew the tailoring worked well: classic- it would have been as fashionable 10 years ago as it will be 10 years from now. But to put a fashion show together is a big job; it took me and Andreas 3 days (afternoon and evening). It is not until we start cross-styling that we get the looks. Exciting. This is Paulina/really enthusiastic/joined Intellectuals Unite. When you say : ‘Regarding Climate Revolution there seem to be some extremely exciting things brewing. But I won’t say anything until they happen.’ – this is really exciting and i’d love to know and/or help out where i can by donating artwork or my time … anything i can do to help out. 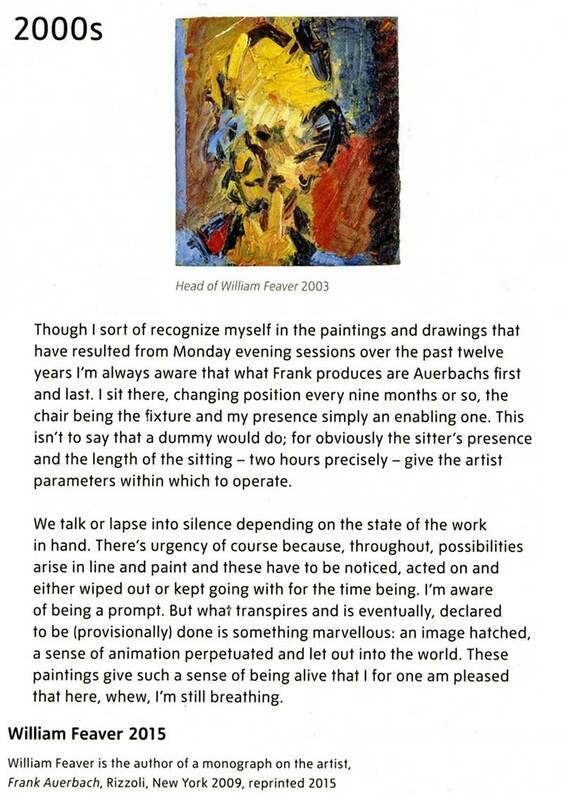 I studied Frank Auerbach while at art school, – at the time, i have to admit, I never showed much (or enough) interest, which was mad of me, because like you Vivienne i went to see the exhibition at the Tate Britain, (and want to go again!!) – you honestly can’t make a decision about a painting properly without really seeing it and getting the real dimensions and feel for the colours and textures .. and of course the situation in which it’s hung is also important. Really liking this diary entry, – a lot to read and digest, – liked the piece on Julian Assange too, which is something I am still following. Dame Viv seems to spend a lot of time travelling to various exotic locales. I hope the plane she flies in didn’t use fossil-fuels. Was the plane solar powered? 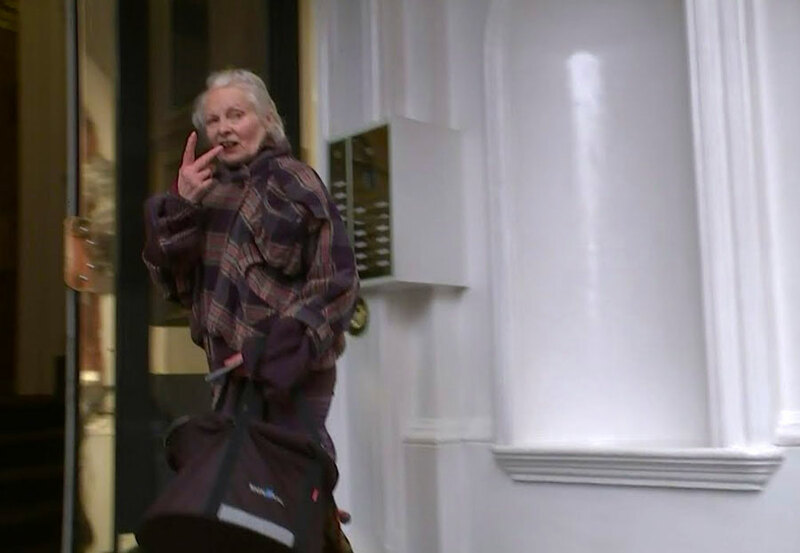 NB Dame Viv flicking the V-sign outside the embassy is rather childish, is it not? First of all, I admire you and everything you do for the world, for freedom/climate fighters and your voice that gives so many people hope in such a corrupt world. Like you, I see art as something that can offer so much amongst this current state of chaos: I see art as the truest reflection of all culture, of all history. At any point in time you can look at art from a certain period, and it tells no lies: to understand history and culture through art is to understand who we are today and where we come from. And to understand and learn is to be the ‘best’ and truest version of yourself. I believe my cousin modelled for you back in the 90’s, So I have always been an avid admirer! However, I find your ideologies somewhat conflicting: on the one hand your philosophies of art and culture are quite elitist- in that your idea of the ‘best’ self being shaped by experiences and knowledge of true culture are predicated on classical doctrine and Renaissance values. This rhetoric states that there is no progress in art, and that art at its ‘best’, of true culture, when you look to the classics, in the western canonical sense of the term- the Rembrandts, the Watteau’s etc. And this is to you, what true culture really is and what thy ‘best’ self is. In turn, you reject postmodern, conceptual or contemporary artworks, which are not in your view, as good as classical forms of art, and therefore are not arbiters or reflections of ‘true/best’ culture. In other words you posit that one cannot attain their ‘best self’ by immersing thyself in abstract or contemporary art, for e.g Duchamp or Banksy, only the classics as mentioned before etc. However, contemporary artworks reflect today’s society and egalitarian ideas in that it challenges the white cube, it challenges the historicity of art, and the elitism of the art periods that have come before, and places more emphasis on the idea, on the concept. What contemporary art does, or more so the contemporary art object or idea, is challenge the structure of power, the system, capitalism, hierarchy which is in stark opposition to the ideas of the 17th and 18th centuries that art was only to be adorned and made for the upper class, the elite. By rejecting conceptual, contemporary art, you are somewhat reinforcing the unequal power structures and the suffering caused by this absolute and concentrated hierarchical power that was exercised by the very elite in society. In contrast, your socio-political views are saturated in an egalitarian framework – quite the opposite to the hierarchical order of how to manifest thy ‘best self’ through ‘elitist/high’ art. By this, I refer to your opposition to Capitalism, in your ecological consciousness and activism, big corporations, and your stance on Orwellian philosophies. What your rhetoric presents, with regard to the socio-political sphere, are very much egalitarian values that are intrinsic to contemporary art, postmodern art, conceptual art. Ideas of Liberty, mass-surveillance, human rights, equality, freedom, mass-consumerism, poverty, ecology and environmental activism – found in the works of post-mod/contemporary artists Vik Muniz, Olafur Eliasson, Anish Kapoor, Richard Long, Yoko Ono, Banksy, Ai Wei Wei. This dialectical opposition is somewhat contradictory, I do not criticise your intent, am just curious as to how you navigate this paradox? I would have though you’d support whole-heartedly conceptual and contemporary art, rather than that of classics and 17th century which sought to conquer and divide.. Please enlighten me!